Great Investment Opportunity With Tremendous Income Potential. Property Needs Full Gut. 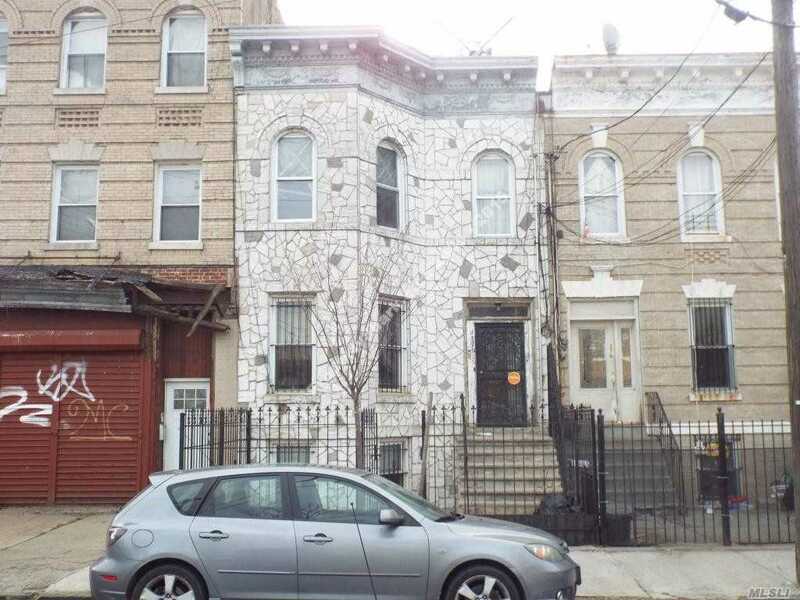 Features 3 Floors(Including Garden Apt) Each With Kitchen, Livingroom, Bedroom Bedroom, & Full Bath This House Is A Legal 2 Family With Three Separate Units. This Means There Are Three Separate Entrances, Three Separate Gas And Electric Meters. Keep In Mind, Even Though, There Are Three Units, The C Of O Is For A Legal Two Unit.